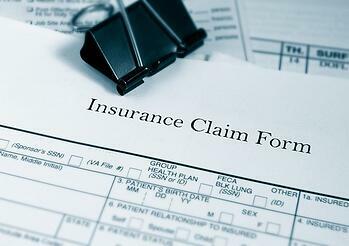 Medical Claim Denials - How to Prevent and Reduce? Most experts agree that small medical offices should aim for an average days in AR of under 30. This means that it takes an average of 30 days or less to receive payment from the insurance company. The industry benchmark is usually set around 50, and exceeding that number means you have a problem with claims billing and collection in your office. To collect more payment faster, consider working to prevent claim denials. These five common denial reasons are easy to avoid and help you increase cash flow for your office. Every insurance carrier has a different deadline for claims. Most require claims to be filed within 90 days, 180 days, or one year from the date of service. If you can bill all completed claims out each day, you'll avoid timely filing fees and denials. Offices that don't have the ability to do so should prioritize claims by amount and insurance deadline. For example, bill higher dollar claims first, then concentrate on claims that have a 90-day filing deadline. Most insurance companies will not consider claims filed past deadlines, so it's also worth the expense to pay overtime to get claims billed in a timely manner. You should also consider outsourcing your medical billing services to ensure that all your claims get submitted in a timely manner. 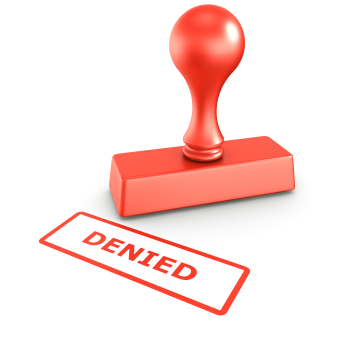 Millions of claims are automatically denied by front-end claims systems because the patient's name is spelled incorrectly, the ID number is incorrect or missing, or other identifying information is incorrect. Always ask for a copy of the patient's most recent insurance card to ensure ID and group numbers are correct. Print out any information received verbally and ask the patient to check it for accuracy. Pay attention to any change of name that may not have been effected in the records of the insurance companies. No benefits denials are received when a service isn't covered, the provider isn't in a network, or the patient's coverage has lapsed. Conducting an insurance verification on the day of the service can reduce these denials. Use online systems to verify benefits or call the verification number on the patient's insurance card 'before' the service is provided. Whether an office is working from inaccurate records or is just heavy-handed with the resubmit button, re-billing claims repeatedly is likely to result in numerous denials. In some cases, managed care contracts may drop providers who do this repeatedly. If you aren't being paid for claims in a timely manner, it means there's an issue with the billing process—you may have even received previous denials for those claims. Resubmitting them en masse isn't going to solve those problems, and you should only resubmit entire batches of claims after speaking to the insurance company and verifying that the batch should be reset or never went through in the first place. Although there are some claims denials that require in depth research and the submission of medical records and certifications, many denials for lacking information are due to minor data mistakes. Leaving off a date of birth, gender, or required secondary diagnosis code could all lead to a denial for information. To combat such denials, train staff and ensure they are taking their time to review each claim prior to submission. You can also invest in software that scrubs or validates a claim and informs the biller that required information is missing. Preventing claims denials is the easiest way to increase cash flow as well as profitability of your medical office. Training, attention to detail, and a timely billing process keep you from losing payment on your claims. For information about how outsourced medical claims billing process can improve your bottom line, contact Revenue XL today.